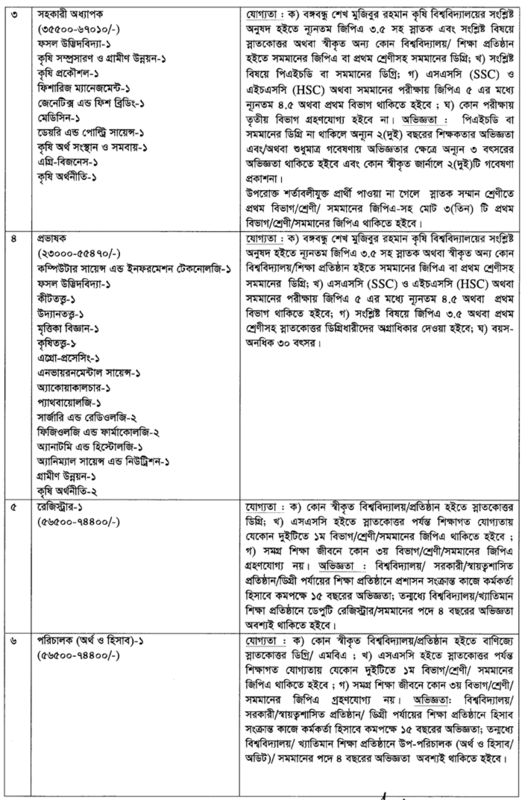 Bangabandhu Sheikh Mujibur Rahman Agricultural University- BSMRAU Job Circular 2016 | www.bsmrau.edu.bd. 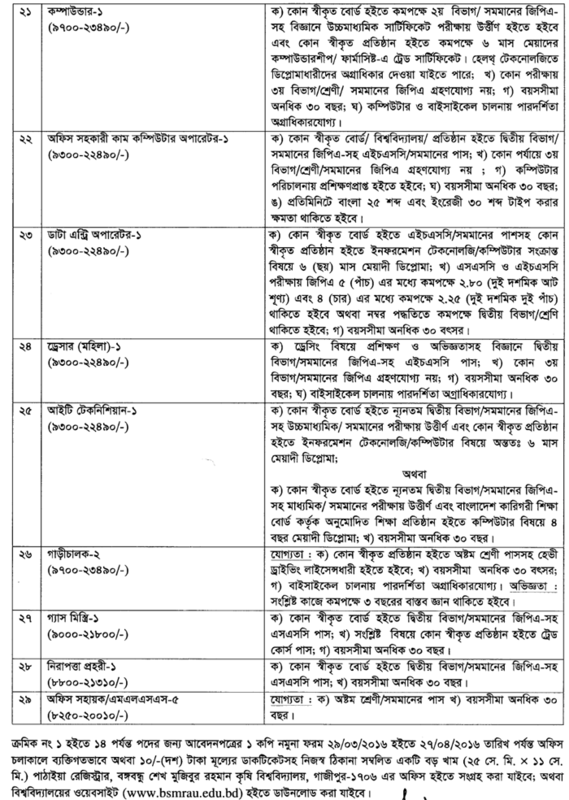 BSMRAU needs some efficient people. 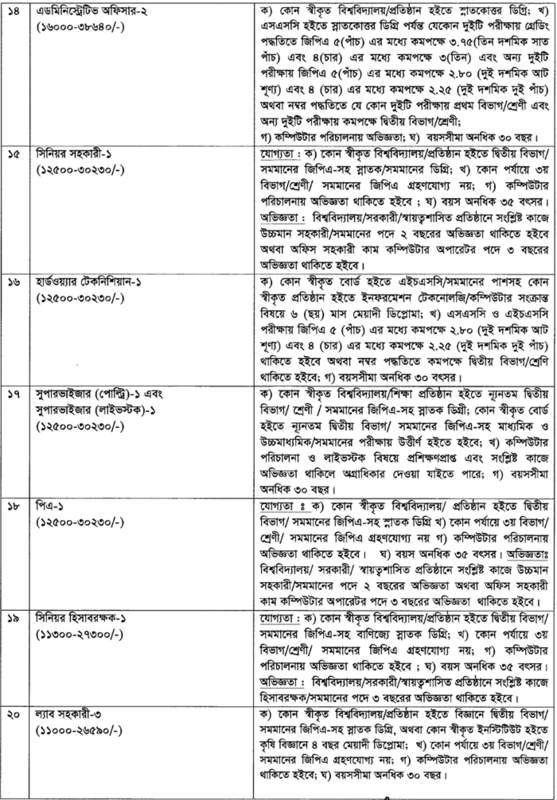 A recruitment advertisement has been published by BSMRAU on 28 March for various post. 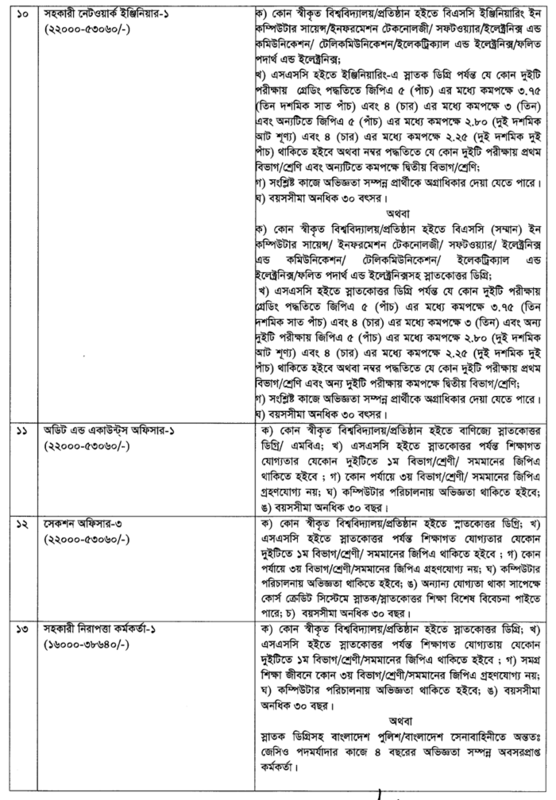 The interested eligible candidates have to apply within 20 April, 2016. 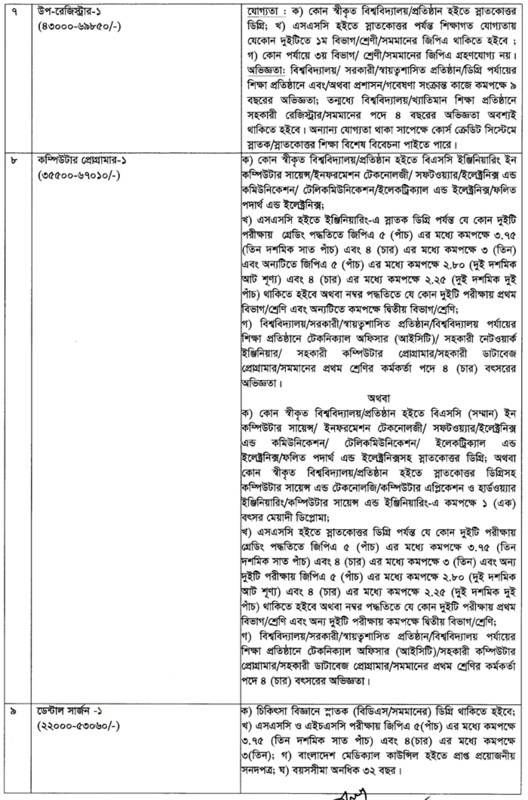 Like Our Facebook Fanpage facebook.com/resultnotice to get the latest updates of BSMRAU Job Circular 2016 and get further updates. 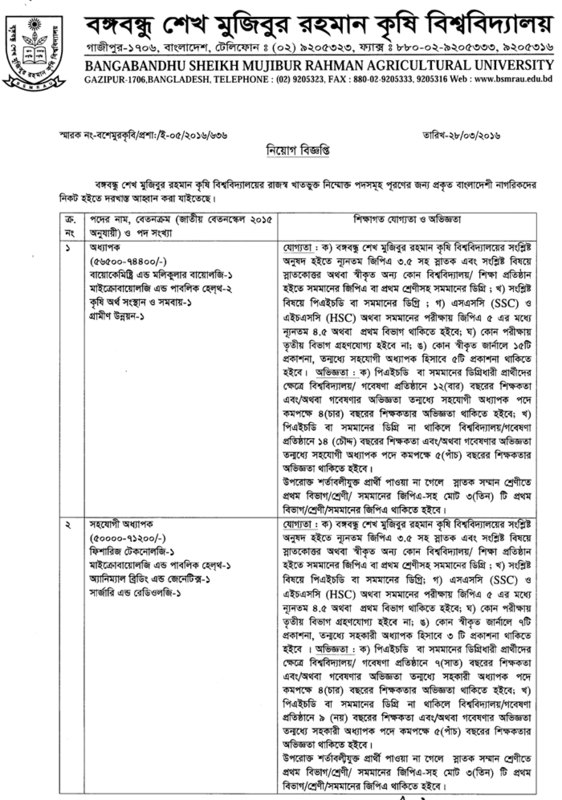 This entry was posted in Job, Job, Job Circular, Notice and tagged Bangabandhu Sheikh Mujibur Rahman Agricultural University Job Circular 2016, BSMRAU, BSMRAU Job Circular, BSMRAU Job Circular 2016, www.bsmrau.edu.bd by Result Gov BD. Bookmark the permalink.